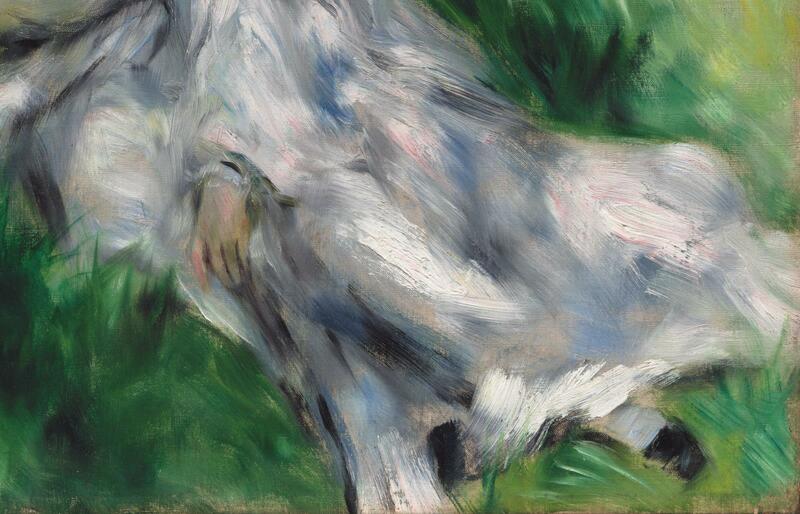 Renoir’s model for this painting was likely Camille Monet, wife of his fellow Impressionist Claude Monet; Renoir painted her on several occasions between 1874 and 1876. 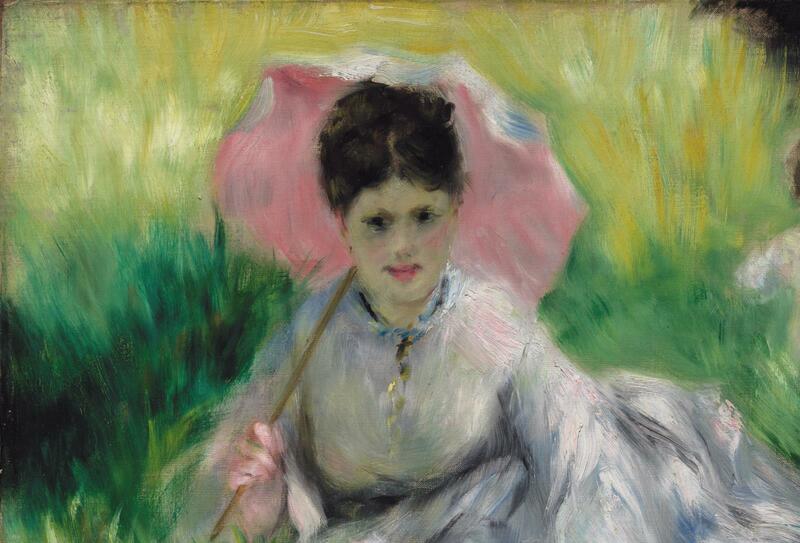 Here she sits on a hillside, her white dress dappled with pink and blue in the shade. 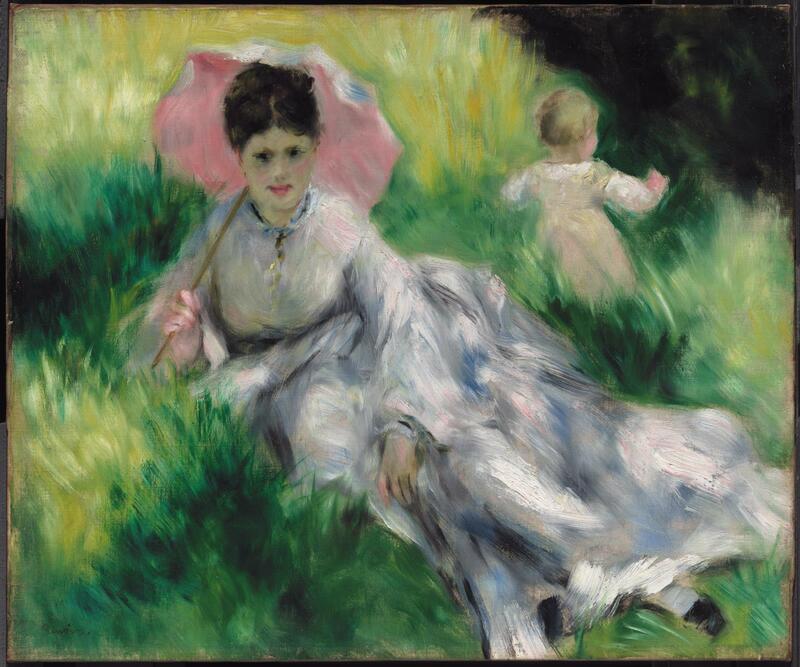 Her grace and composure stand in marked contrast to the toddling child who wanders off into the background at right, oblivious of the painter’s presence. The provenance given here was provided by Durand-Ruel, Paris in a letter to the MFA (January 4, 1962; in MFA curatorial file); also see François Daulte, "Auguste Renoir: Catalogue Raisonné de l'Oeuvre Peint, I. Figures, 1860 - 1890" (Lausanne, 1971), cat. no. 260. In their letter to the MFA (as above, n. 1) Durand-Ruel stated that they purchased the painting from Mr. Phillips on April 30, 1926 and sold it to John Taylor Spaulding in April 1926. Mr. Spaulding's receipt is dated April 27, 1926. Daulte (as above, n. 1) gives Spaulding' s purchase date as April 27, 1927.